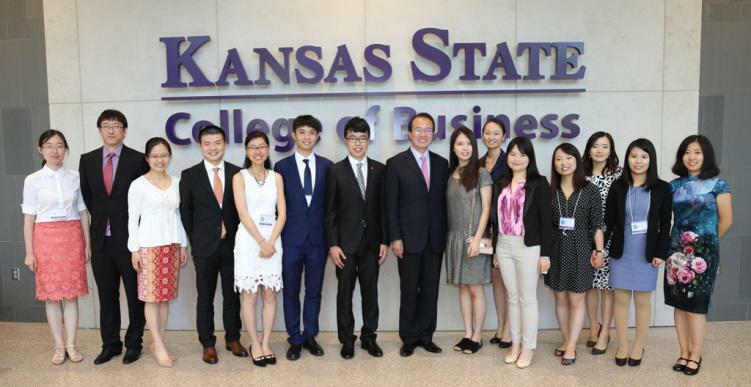 May 31, Consul General Hong Lei visited Kansas State University. Educational Consul Chen Yinghui, Commercial Consul Zou Xiaoming joined the visit. 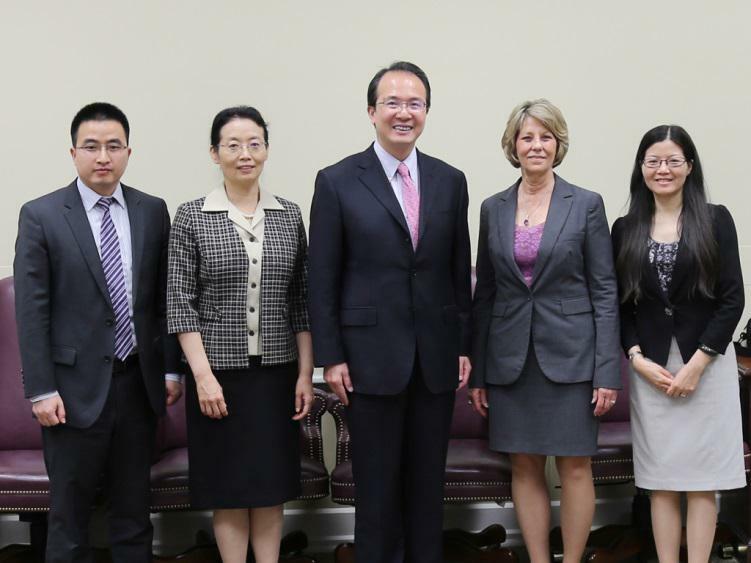 Consul General Hong held meetings with vice president Peter K. Dorhout and senior vice provost Ruth Dyer, saying that KSU placed great emphasis on academic exchanges with China, operated many cooperation programs with Chinese Higher Education Institutions (HEIs), and particularly made a breakthrough and great contributions to the US-China joint DVM degree program. The first group of Chinese students gained the DVM degree in the US since the foundation of P. R. of China, which filled this degree gap and had a significant meaning for strengthening animal diseases control and food safety. 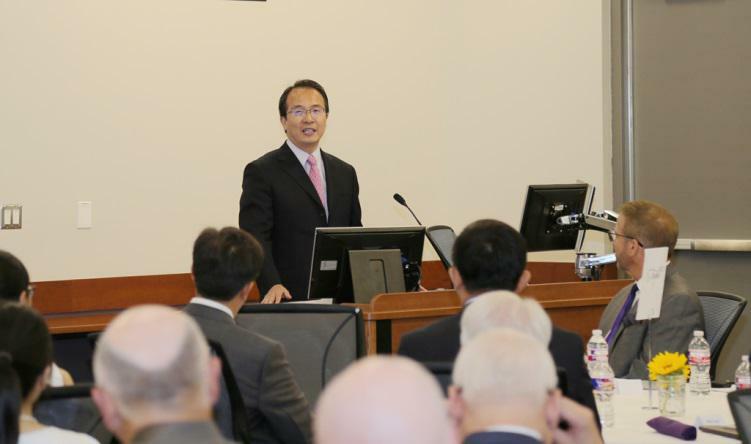 The establishment of the Confucius institute (CI) on KSU campus exerted a positive function on Chinese language teaching and culture promotion, enhanced mutual understanding between China and the US. 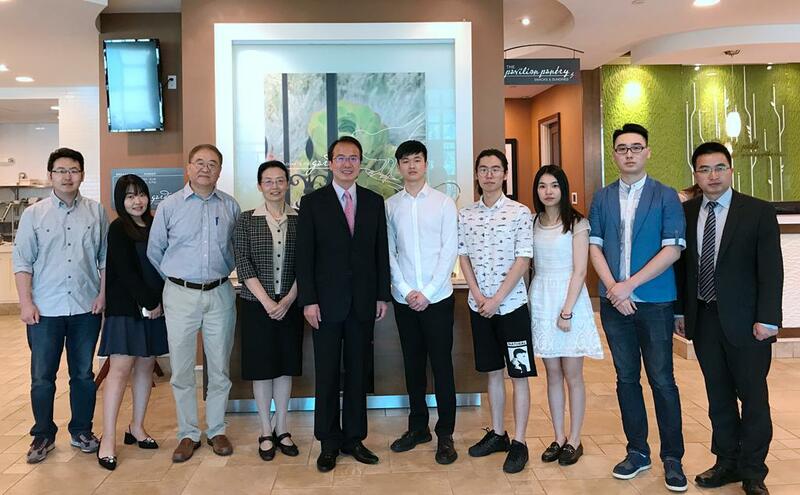 Consul General Hong appreciated the university's efforts to assist nearly 700 Chinese students in adapting the new studying and living environment, expected to see more services provided for them, wished to deepen the cooperation with KSU in future. 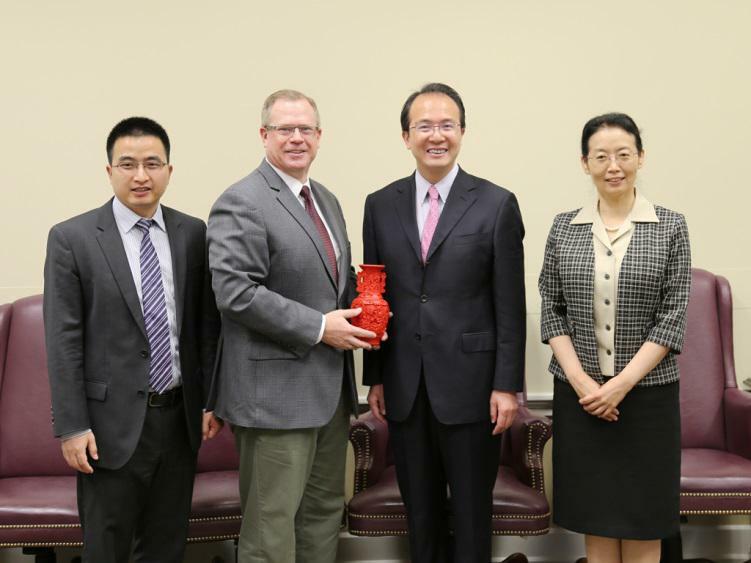 Consul General Hong congratulated JINYU Corporation, Chinese biggest animal vaccine production company, which established its North American Research Center in KSU. He hoped both sides could contribute to animal health to China, America and the rest of the world on the basis of joint cooperation and complimentary advantages. Vice president Peter K. Dorhout and senior vice provost Ruth Dyer respectively expressed their satisfactions over education and research cooperation between KSU and Chinese HEIs, the successful implementation of DVM program and good performance of Chinese students, highly appraised the linkage function that Confucius Institute displayed in culture exchanges between the US and China. To cooperate with China is part of university's internationalization strategy and KSU would like to continually develop various programs with China, to make more contributions to education and research cooperation, youth exchange, mutual learning. 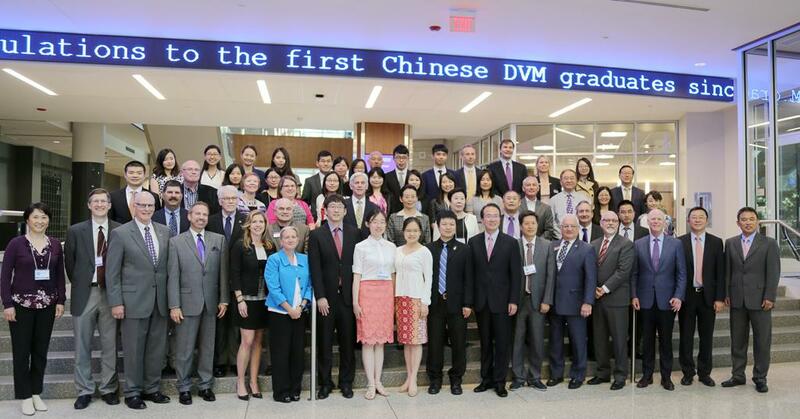 Consul General Hong was invited to attend and speak on the graduation celebration of the China-US DVM program. He congratulated the 4 Chinese students who were awarded the US DVM degree since the foundation of P. R of China, extended gratitude to those relevant universities and institutions, such as KSU and its US-China Animal Health Center, University of Minnesota, Iowa State University, University of California Davis, for their efforts and contributions for this program. Consul General Hong expressed husbandry in China is currently in a very important stage with the tendency of intensiveness and scale production, higher expectation for food safety from the public. The contagious diseases from animal to human are still big challenges. He hoped the graduates who will teach in veterinary schools in Chinese universities to take the responsibilities, to play a 'seed' role, to make more contributions to improve veterinary education, cultivate more talents, secure animal health, preserve food security, and serve the public health. 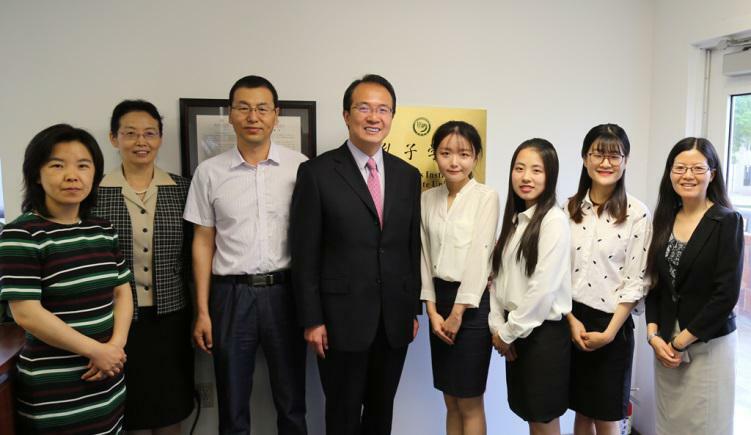 Consul General Hong also visited Confucius Institute at KSU and met the Chinese teachers and volunteers. After the introduction of the CI and its characteristics, Hong said the CI played a very important role in Chinese language teaching and culture promotion in local community with a positive influence, hoped the CI to make persistent efforts, strengthen its characteristics and achieve more outcomes. Consul General Hong also met the CSSA representatives during the visit.